We answered the most common questions visitors may have about our herbal supplements in Olathe, Colorado. If you find that your question is not answered, please email us or call us during business hours. Questions are organized according to product categories. Question: Why can't I find these products at my local retail store? Answer: Our products are professional grade products registerred with the FDA (note the NDC# on our packaging which stands for National Drug Code). Retail products put all their money into advertising to get shelf positioning and price competition to compete with all the cheaper products on the shelves. By comparison, our money stays in the product to keep our standards high and insure the efficacy our health care professionals demand. Question: What is Far Infrared Technology? Do I need to use a far infrared heat lamp with it? Answer: All of Golden Sunshine's pain management products, except our herbal sprays, include a piezoelectric ingredient (tourmaline), a mineral that, when activated by body heat, emits a far infrared therapeutic frequency. There is no need to use a lamp or other equipment to get the effect. The products themselves emit the far infrared frequency when applied to the body. Some people are sensitive enough to even feel the energy by putting their hand close to the product. In traditional Chinese medicine, tourmaline is also detoxifying. Question: Golden Sunshine's pain relief products come in the patch, cream, spray, and paste forms. Are these the same formulas? Answer: No. Each product is a separate formulation for different applications. The paste is the strongest formulation and is ideal for traumatic injuries where deep penetration into the tissue is desired. Our creams are ideal for symptoms such as stiffness from chronic indications, including arthritis, and are easily applied to the joints. Our sprays are convenient for application in sports injuries either before, during, or after a strenuous workout. The patch is great for application to broad areas, such as the back, thighs, or torso and offers long-lasting relief. Our patch can be used along with our creams or sprays to obtain maximum benefit. 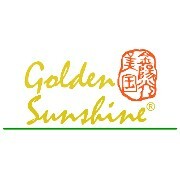 Question: Can Golden Sunshine's pain relief products be used together or with other products? Answer: Yes and no. Golden Sunshine's formulas are designed to be compatible with one another, so there are no adverse herb interactions. However, we cannot test every product out there, and other manufacturers do not use the same pharmaceutical-grade standards in their formulation or ingredients, so it is not recommended to use our products with others. Question: Peeling the patch off is sometimes difficult, especially on tender areas. Is there a way to alleviate this problem? Answer: Yes. The patches' ingredients are water soluble. If you wet the patch prior to removing, it will be much easier. Some find it easier to remove the patches while bathing or showering. Instead of just pulling up on the patch, pull it sideways, rolling it off of the skin. Question: Can the patch be cut into different sizes and shapes? Answer: Yes. For broader areas of the body, such as the back, shoulder, or thigh, a larger size gives better results. For smaller areas, such as fingers or joints, the patch can be cut to conform to the area. Keep in mind that the more contact you can make with the affected area, the better the results. Question: I have sensitive skin. Is there any way to prevent skin rash while using the patch? Answer: Yes. While the patch is one of our most efficacious products, if your skin is sensitive or a rash persists, our creams are probably the best solution for you. The patch concentrates the ingredients on the affected area and allows the skin to breathe, to an extent, but the creams allow far more freedom in the case of sensitive skin or those who are prone to skin rash from this type of product. Both the patch and the cream provide long-lasting relief. Question: Sometimes there's some oil coming out of the herbal cream. Is this normal and is there anything special about the oil? Answer: Yes. This is quite normal as we use some natural oils in our creams to moisturize and soften the skin while allowing the ingredients to penetrate deeply and last longer. To avoid the oils from separating from the cream, be sure to avoid temperature extremes. Room temperature of about 65 degrees F is ideal. You can stir the oil back into the cream or just massage it into the skin during application. Question: What is the best method of applying your creams for maximum results? Answer: For optimum effect, apply the cream to the affected area and massage it in for about 10 minutes until it absorbs in and dries. Then, apply one of our patches. The patch should be removed after around 8 hours to let the skin breathe for a few hours before applying another patch. It is not recommended to wear the patch longer than 8 hours. Question: Many cosmetics manufacturers use special ingredients that require knowledge and, therefore, education along with their lines. By comparison, Golden Sunshine's skin care line seems simple and basic. Why is that? Answer: Golden Sunshine has been dealing with the medical community since its inception and has obtained NDC (National Drug Code) numbers for its pain management products from the FDA. All of Golden Sunshine's product offerings, including our skin care line, are natural and proven effective. We believe that a healthy approach to skin care includes using a basic regimen of natural products that keep the skin healthy and radiant. Golden Sunshine's Skin Care Essentials include our collagen peptide facial mask, collagen peptide extract, aloe/reishi skin dew, and hyaluronic acid moisturizing serum. Question: What is Hyaluronic Acid? Answer: Hyaluronic Acid is the most plentiful carbohydrate in the body and is used to lubricate and moisturize its tissues. It is the body's natural moisturizer and has become a popular ingredient in many skin care products. Golden Sunshine's Hyaluronic Acid Moisturizing Serum is a natural, concentrated form that is the ideal topical moisturizer for your skin.